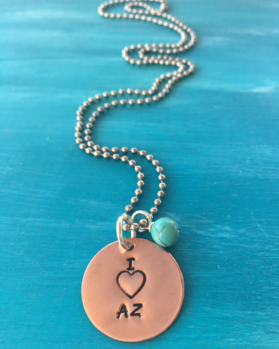 View cart “LOVE Arizona Necklace” has been added to your cart. 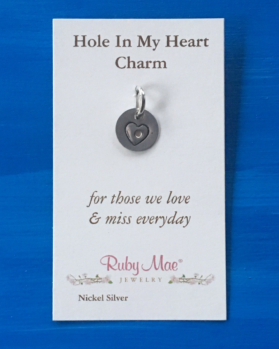 This hat and lapel pin is our latest addition to our Hole In My Heart Charm collection. 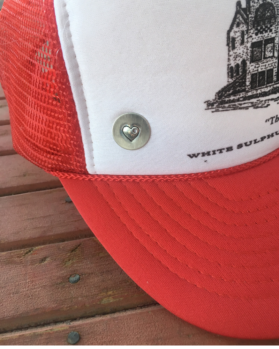 It is handmade and fastens securely to clothing or hats with a well fitted clutch that attaches to the post. 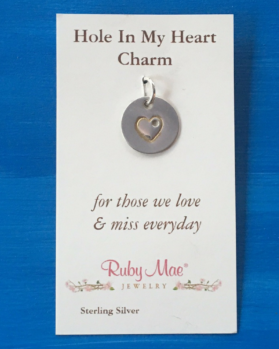 This charm was created by my dad Jake who misses my mom Patty Mae. He thought there might be more people like him who have a hole in their heart. 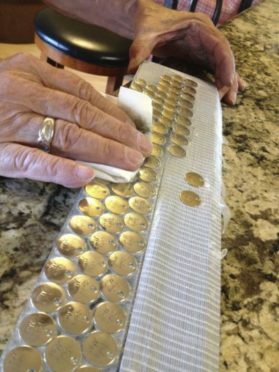 He stamps, stains & polishes each one by hand. 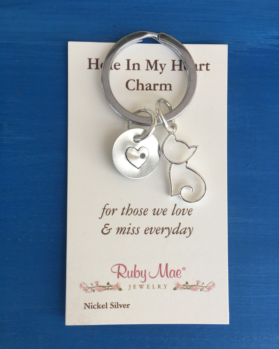 It’s a thoughtful gift for a friend or relative who has lost a loved one. 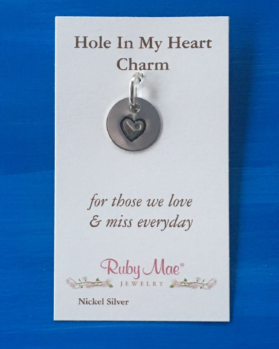 These charms make a perfect, personalized gift for your loved one who has lost a furry family member. 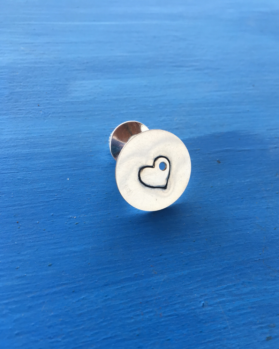 My Dad Jake creates each hole in my heart charm one by hand. 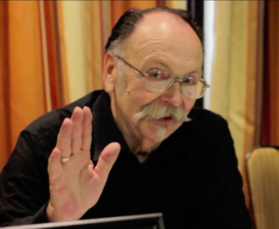 He stamps, stains, polishes and buffs them one at a time. 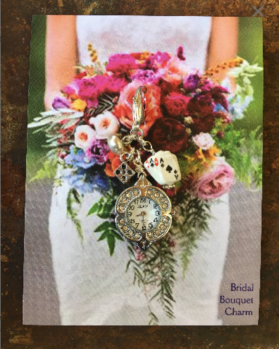 This bridal bouquet charm is the perfect brudal shower gift. She will love your thoughtfulness and I bet she hasn’t seen one before. 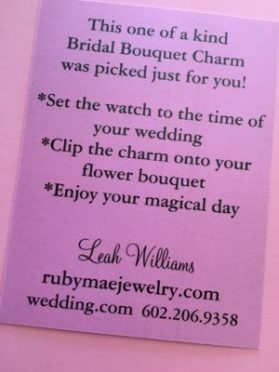 She’ll set it to the time of her wedding and hook it right onto her bridal bouquet for everyone to see. Once the wedding is over, she can unhook it and clasp it onto her purse or backpack. 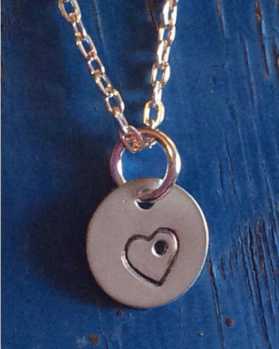 It can be personalized with additional charms like their initials or hobbies. 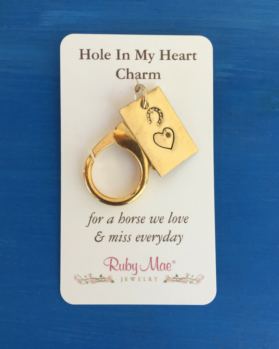 This charm makes a nice gift for your friend or loved one who has lost their horse. My Dad Jake makes each one by hand. He stamps, stains, polishes and buffs them. All of the materials have been purchased locally. 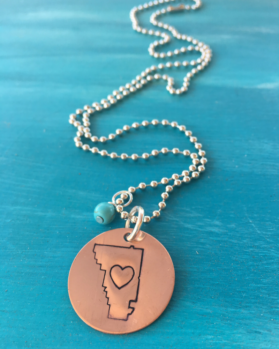 This hand stamped copper charm necklace was inspired by my love of Arizona. We are the copper state and my brother Roger even works for a copper mine. All of the materials are purchased locally and they are individually made by my dad Jake. It is paired with a turqouise colored bead on a ball bead chain and the neckace is 24″ long. 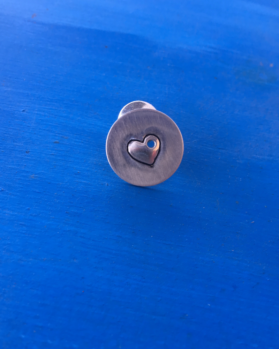 The hand stamped charm was made by my dad Jake. It depicts the official boundaires of Gilbert, Arizona. It is paired with a faux turqouise bead on a ball bead chain. The neckace is 24″ long. He makes all of our name, date & initial charms carefully and one at a time. There are many steps to the making including the stamping, staining & polishing of it. Just saw your jewelry at CoCo Milanos in Mesa! love it and bought some. I'm a Stage 3, 14 years survivor and Thank you! I LOVE IT! It's perfect. Thank you! 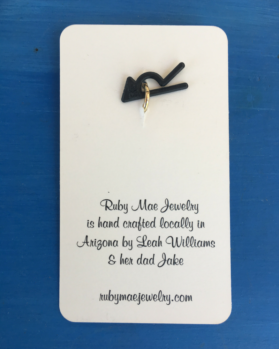 Getting a Ruby Mae Jewelry envelope in the mail is about the BEST gift a girl can give herself - or anyone special in her life! I was that lucky girl today! Thank you. 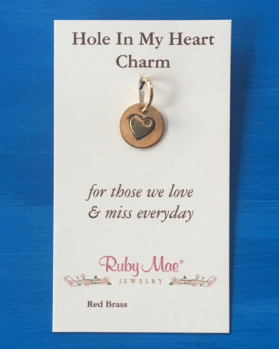 © 2019 Ruby Mae Jewelry. All Rights Reserved.